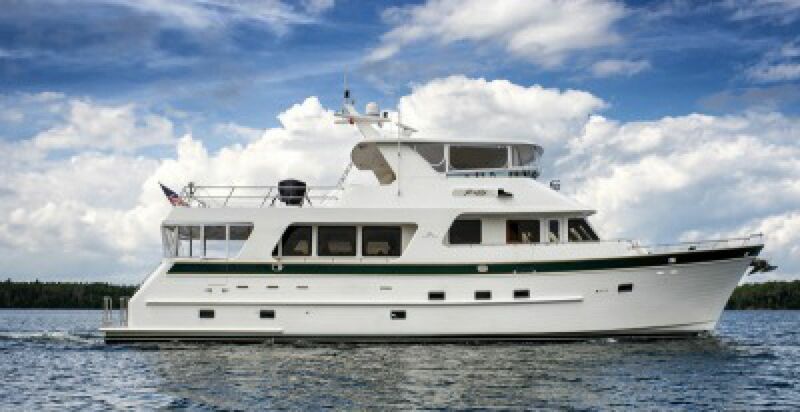 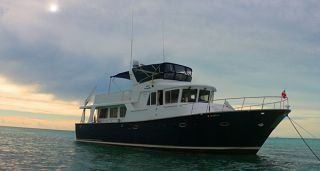 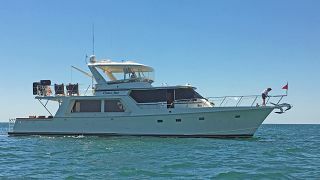 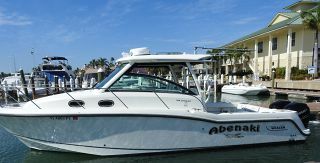 This exceptionally well thought-out and extremely well equipped Outer Reef 73 was originally built for a boat building family who wanted to cruise and anchor out in relatively remote areas with as few noise intrusions as possible. 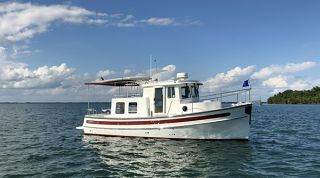 FIREFLY, ex-SEE YA, was built with a great deal of attention to sound insulation and battery generated electricity. 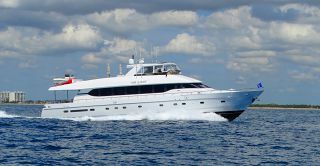 Her highly customized electrical system and enormous battery capacity must be seen to be appreciated. 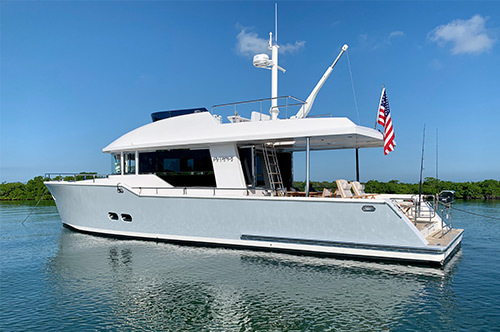 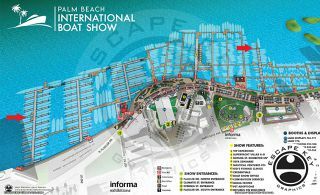 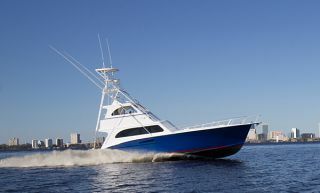 Her present like-minded owners have reaped the benefits of this planning and have added their own improvements and upgrades to make FIREFLY an even more trouble-free, safe, and comfortable yacht. 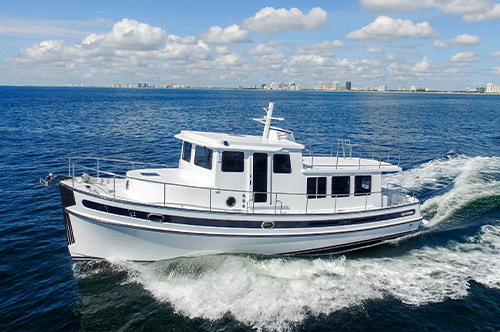 In a very short time (April 2013 - December 2013) they have taken FIREFLY from Florida to as far North as the Bras d'or Lake in Nova Scotia and back. 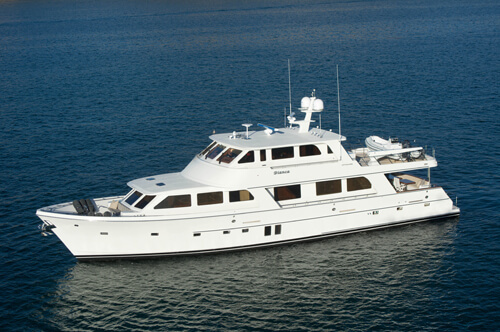 The experience has been so enjoyable that they are now moving up to a larger yacht (willing to consider trades). 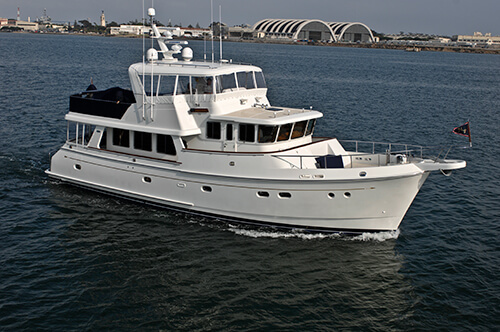 One would be hard pressed to find another long range yacht of this size that has been as well cared for and as intelligently engineered and equipped as FIREFLY. 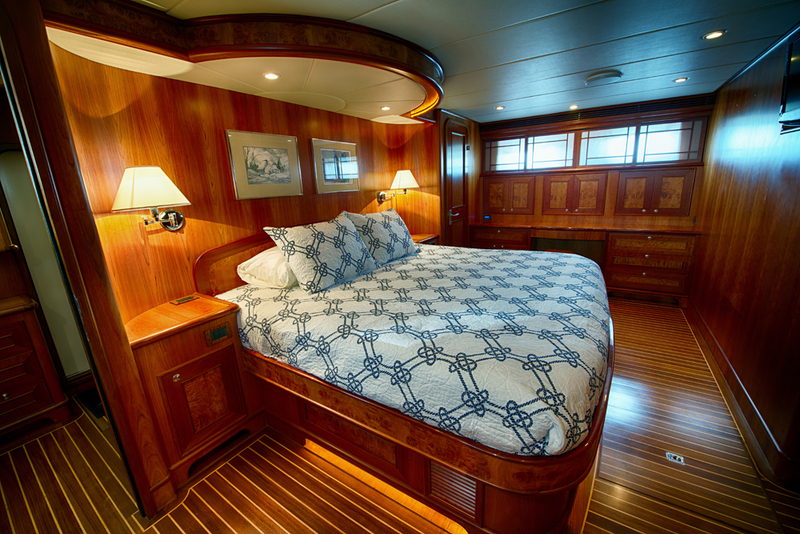 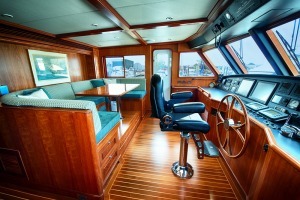 Interior features includes three Staterooms each with ensuite head and shower, plus crew quarters with head and shower aft, Cherry interior, On-deck day head across from galley with onyx countertop, teak & holly sole, Burled maple inlay on salon window mullions, Pilothouse and Master Teak and holly cabin sole in pilothouse, galley, staterooms, day head, below deck foyer, and crew cabin, Custom stone on master, guest and VIP head floors. 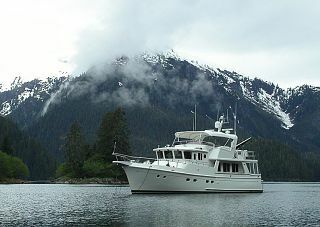 Nutone Central vacuum system, Automatic lighting in cedar-lined hanging lockers, Shoji blinds in Master, including master head, VIP, and port guest cabins, Solid cherry wood blinds in salon, High gloss finish on end tables and trim, Teak bar with granite inlay top with custom beveled glass storage cabinet above.